Much has been written about the polarization of the Thoroughbred commercial market. Within subgroups of sale horses by quality, we've seen a growing divide between what's paid for those perceived as the most desirable and those perceived as the next-best. But there is a broader polarization, too, which is beginning to put additional pressure on breeders as they make mating decisions. This article analyzes the bigger picture and changes seen since 2013, when the chasm began to widen more appreciably between the higher and lower ends of the commercial market as determined by stud fee. It also identifies the borderline territory within which successful sales have become tougher to achieve. The upper end of the Thoroughbred market is always the preferable place to be. Overall, higher prices are reflective of higher quality, and higher quality as a whole means more success at the races and in the breeding shed. Most adhere to the adage: "It costs the same to feed a cheap horse as an expensive horse," and pay for as much quality as one can afford. Breeders and pinhookers have adjusted as buyers focus on the upper tier. Between 2013-16, the number of sales of yearlings bred on stud fees of $75,000 and up grew from 480 in 2013 to 655 in 2016. The percentage of profitable horses within this range has remained fairly steady, falling between 31%-45% for yearlings bred on stud fees of $100,000 or up and between 28%-45% for yearlings bred on fees in the $75,000-$99,999 range. Return on investment at the top end did take a hit in 2016, falling from a recent high of 40% in 2014 to 14% in 2016 for yearlings bred on six-figure stud fees. The $75,000-$99,999 range also declined from 51% in 2013 to 3.1% in 2016. This may be an indication of the "all or nothing" buying behavior mentioned previously. These declines in ROI, however, pale in comparison to what happened with yearlings bred on a fee in the $10,000-$14,999 range. The percent of profitable yearlings has not changed much, fluctuating between 20-26% over the past four years, but ROI has plunged from a losing 1% in 2013 to a declining 36% in 2016. Commercial performance is more grim among horses bred on fees under $10,000, but the relatively poor ROIs and low percent of profitable sales has not changed much since 2013. The borderline of positive territory in the commercial market now appears to be the $15,000-$24,999 stud fee range. The yearling representing this range generated a 28% ROI with 32% profitable in 2013. This tier's performance in 2016 was a 1.4% ROI with 30% profitable. This segment of the market is not insignificant, having accounted for 24% of yearlings offered in 2016. Tough decisions for breeders lie ahead. 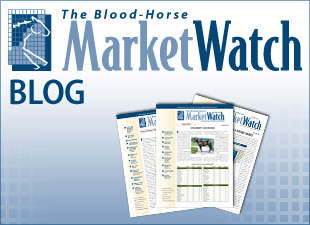 "Before, sires were marketed by their average earnings per start or per starter," said Tony Lacy with Four Star Sales. "Now it is all about sales. There is an intersect between sales and racing, but it is very tricky to find that sweet spot right now."